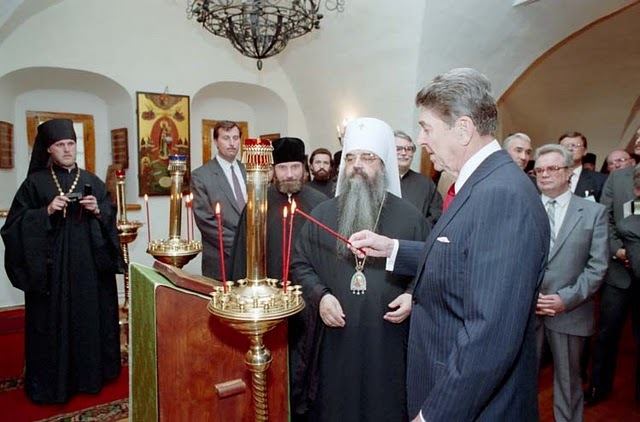 Photo: Ronald Reagan Lights A Candle of Freedom In the U.S.S.R.
See also photos here and here. 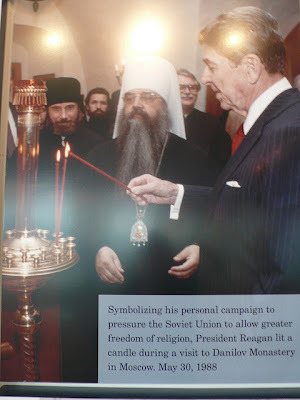 A photograph of Ronald and Nancy Reagan hangs to this day in the monastery. Read New York Times article here. Read also here and here.